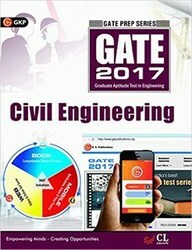 Surabooks.com provides the study material for Gate Exam civil engineering and contains the syllabus of Verbal Ability, Reasoning Ability, Verbal Reasoning which includes Series Completion, Analogy , Classification , Coding-Decoding , Blood Relations , Puzzle Test , Direction Sense , Logical Venn Diagrams , Alphabetical Quibble , Mathematical Operations , Logical Sequence of Words and Decision Making etc. Surabooks.com provides the study material for Gate Exam Electrical Engineering and contains the syllabus of Chapter wise analysis, General Aptitude, Verbal Ability, Numerical Ability, Engineering Mathematics, Technical Section, Mock Tests and Solved Papers. 1620 J-Block, 16th Main Road, Anna Nagar, Chennai - 600040, Tamilnadu, India.